Do we real­ly need adver­tis­ing? Put more point­ed­ly, do we real­ly need the por­tion of our indus­try that con­nives to con­vince us to buy things? These ques­tions came to mind while lis­ten­ing to the CBC radio news sto­ry today decry­ing that for each dol­lar of income, Cana­di­ans spent $1.63 and that this fig­ure was per­ilous­ly close to the fig­ure for the US just before the most recent mort­gage cri­sis. Let’s start by back­ing up a bit. From a pure­ly infor­ma­tion­al per­spec­tive adver­tis­ing is use­ful to the pub­lic where it dis­sem­i­nates infor­ma­tion on the prod­ucts that are avail­able. Noth­ing is more annoy­ing that research­ing where to buy a rare indus­tri­al part for a project or repair to find in mul­ti­ple cas­es that it is not clear who makes or sells the item. The inter­net has improved this some­what by mak­ing it sim­ple for man­u­fac­tur­ers to list items that can be direct­ly and eas­i­ly viewed by peo­ple who are search­ing for them. Sim­i­lar­ly, prod­uct knowl­edge experts in stores (which is the ide­al, but not the real­i­ty) serve a valu­able func­tion: to answer ques­tions and inform con­sumers of the attrib­ut­es of their prod­ucts. Of all the retail­ers I fre­quent, I think the parts stores have fig­ured this out best. They staff with peo­ple who have vary­ing knowl­edge of car repairs, and their staff are all famil­iar with the sys­tems that con­trol the order­ing and deliv­ery of parts. The best stores have sub­ject mat­ter experts and knowl­edge of oth­er local ser­vices that peo­ple repair­ing cars require. Much is made in the media of people’s finances. This large­ly con­vinces the pub­lic that oth­er peo­ple are spend­ing their mon­ey and incur­ring debt unwise­ly. Debt itself is nei­ther evil nor good. It is nei­ther wise or fool­ish. Our abil­i­ty to pur­chase prod­ucts and our access to finan­cial instru­ments that make pur­chas­es pos­si­ble sim­ply bog­gles. Peo­ple gen­er­al­ly know that they spend too much mon­ey. They even make light of it. Why, then? Sim­ply put, every­where you look there are things (signs, videos, ads, sales­men, prod­uct place­ments) urg­ing us to buy stuff. These “things” are specif­i­cal­ly tai­lored using psy­cho­log­i­cal fac­tors to encour­age us to buy more stuff more often. We use the illu­sion of scarci­ty to sell plen­ti­ful items. 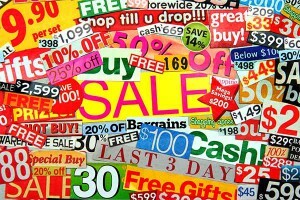 We use the illu­sion of exclu­siv­i­ty and appeal to sell com­mon items. 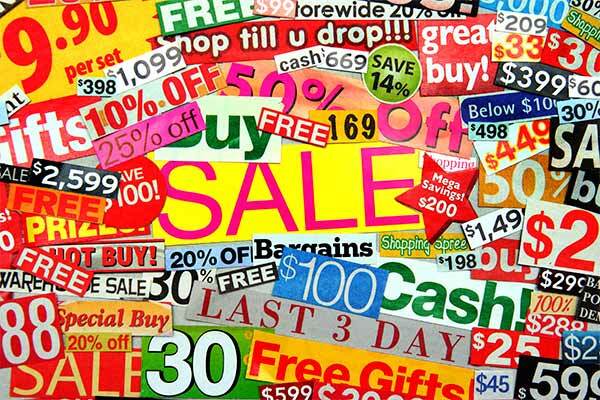 We exploit the brain’s trib­al­ism with brands to sell infe­ri­or items. In gen­er­al, each of these attrib­ut­es has noth­ing to do with the qual­i­ty, desir­abil­i­ty or appro­pri­ate­ness of the prod­uct. In this world, we are beyond a cob­bler mak­ing you a shoe and a butch­er sup­ply­ing your meat. To reduce costs and pro­vide ever more to the con­sumer, we must sell a cer­tain vol­ume of our prod­uct to be viable. To be viable or to be more prof­itable, we need to entice con­sumers to buy our prod­uct who might oth­er­wise not. In a sim­pler sys­tem, our cob­bler would sum the costs of his mate­ri­als, account for his time and over­head and charge for each pair of shoes some appro­pri­ate amount. Sim­i­lar­ly, our butch­er would buy his meat, account for time spent pro­cess­ing it for his clients and price his prod­uct to cov­er his costs plus some amount of prof­it. In this way, each busi­ness­man makes a small prof­it on each sale. If by hang­ing his shin­gle he attracts suf­fi­cient busi­ness to stay busy, every­thing is good. If, how­ev­er, to make suf­fi­cient prof­it (where no amount of prof­it is enough) he needs to resort to trick­ery, where are we as a soci­ety? This is my argu­ment: that psy­chol­o­gy used in adver­tis­ing to entice the con­sumer to pur­chase goods and ser­vices that they oth­er­wise do not want is at the core of the cur­rent cri­sis of debt. Debt is the enabler, but adver­tis­ing is the prob­lem. This entry was posted in Life, Media and tagged advertising, credit, crisis, debt, life, rant. Bookmark the permalink.